I read a short article (actually, a devotion) on a blog last night and I said, “I must share it!” Not only is it short (most folks like short articles) but, as is the case with so many of my blog posts, it is written by someone who is famous and a lot more knowledgeable then I am, and he’s also a friend of mine. He was a pastor for 25 years, and he is a radio talk show host (among other things), and he’s written many books over the years, too. In fact, I’ve written about two of them previously on these two blog posts: “Three Free Sins–Say What?” (published on August 5, 2012) on his book titled, “Three Free Sins,” and “True Colors” (published on April 29, 2016) on his last book titled, “Hidden Agendas: Dropping the Masks that Keep Us Apart.” And, he’s currently working on a new book, too. His name is Dr. Steve Brown (but don’t call him doctor; call him Steve), and if you know him or have listened to him talk in a myriad of venues including his radio program, you know that he has a very deep voice and a delightful sense of humor. He’s also honest to the bone. And, he is, without a doubt, one of a kind. Steve is a former pastor and professor emeritus, founder of Key Life Network, a Bible teacher, and he is a frequent and much sought-after speaker at conferences and in other settings. Do you sometimes grow tired of religious people? Do you ever want to just grunt, scream and spit? I know I do. Sometimes I just want to say something shocking. And once that’s done, I’ll think, “There, I did it and I’m glad!” I try to stifle those feelings because, of course, no real Christian would even think such things. That is what I thought until I read Christ’s words in Matthew 6:1-8 and 16-18. The fact is, you can always tell when someone is religious . . . but you can’t always tell when someone is a Christian. One of the most dangerous things we do in the church is to confuse sanctimony with saintliness. That is the problem Jesus addresses in Matthew 6. So we need to be careful. Watch Out For Religious Exhibitionism. Someone has said that true religion is what you do when no one sees. Jesus makes the point that if you don’t do it privately, for God’s sake, don’t do it publicly. If you don’t believe it in your heart, for God’s sake, don’t do it in your life. If it isn’t real to you when you’re by yourself, for God’s sake, don’t say it is real when you’re with others. Sometimes the more the outward piety, the less the inward reality. That is why you have to watch those who say and do religious things. Are you sometimes intimidated by the religious folks who do so much religious stuff? They are always faithful, they memorize Scripture all the time, they talk only about God and they know the creeds backwards. Watch Out For Religious Words. There is a direct correlation between the reality you know and the number of words you have to use to communicate that reality to others. The more words, the less the reality. You should have heard all the religious clichés that surrounded my father on his deathbed. In contrast, the doctor who led him to Christ was very brief and very clear. He said, “Mr. Brown, you have cancer and three months to live. We’re going to have a prayer and then I’m going to tell you something more important than what I just told you.” They prayed and then in a very simple way that doctor led my father to Christ. It takes many words to keep a sinking religious ship afloat. Most of us have a problem with keeping quiet . . . I know I do. Are you sometimes intimidated by those who know so much and make it sound so complex? Watch Out For Religious Condemnation. You can tell how guilty a person is by asking how guilty you feel in that person’s presence. How surprising of God to sanctify the tears of the thief and judge the silent condemnation of the religious judge. How surprising of God, in the midst of proper worship, correct theology and strict Sabbath keeping, to simply leave the building. Do you sometimes wonder if you’re the real thing because you get so much wrong and they point it out? Watch Out For Religious Solemnity. Sometimes I get tickled at the seriousness of the church. If there weren’t a God, I would understand. But last time I checked, God was still there and had not, as yet, gone into a panic. When Jesus is present, there is joy, freedom and release. Under the watchful eye of a sovereign God, we can rejoice in the laughter of the redeemed. Do you ever get the giggles in the wrong place, are criticized and then question your salvation? Jesus says twice, “They have their reward.” When people tell me that I’m spiritual, it often worries me. I would rather receive my reward from God than from them. I have a friend who says that the difference between believers and unbelievers is that Christians know the rules and how to play the game. Therefore we can fake it better. In Luke 18 Jesus told a story about a Pharisee who knew the rules. He went to the temple to pray and looked down on the tax collector who was also praying. The Pharisee rejoiced before God that he was not like the tax collector. The Pharisee told God that he was not like other men. The Pharisee told God that he wasn’t an adulterer . . . and he wasn’t. The Pharisee told God that he wasn’t a tax collector who stole money from God’s people . . . and he wasn’t. The Pharisee told God that he fasted twice a week . . . and he did. The Pharisee told God that he tithed all of his possessions . . . and he did. The tax collector, on the other hand, barely looked up. Instead, he pled for desperately needed mercy . . . and received it. The rest of the story? When the Pharisee left the temple, the religious folks told him how much they appreciated his help in building the temple. After all, he was a benefactor. The religious folks went on to admire him for his fasting, praying, purity and commitment. As a result, the Pharisee felt good about himself. Don’t get me wrong. I don’t begrudge him. According to Jesus, that’s all he got. Are you intimidated by religious folk . . . so much so that you begin to doubt your salvation? Don’t let that happen. You belong to God. So rest and relax in his love, mercy and grace. It’s already yours. (Quote source: “The Problem with Religion” on KeyLife). I titled this blog post, “Be Bold for Change,” as we who are part of the Church (see definition at this link) need to be far less religious and far more loving. We need to be far less self-righteous and far more genuine about our concerns for others (as in all others). We need to be far less concerned about materialism and far more concerned about those in need. We need to be far less judgmental and far more understanding of others. And we need be far less concerned about our “legacy” and far more concerned with trusting God and not ourselves and our own resources. He [the Pharisee] went to the temple to pray and looked down on the tax collector who was also praying. The Pharisee rejoiced before God that he was not like the tax collector. The Pharisee paid no attention to “the plank in his own eye.” He thought he was righteous before God in the things that he did (or didn’t) do. He justified himself; whereas the tax collector humbled himself before God and acknowledged that he was a sinner, and asked for (and received) mercy. The difference between the two is huge. And we can fake it so well, too (or at least we think we fake it well). It’s often why some people leave the church and never come back. They can smell fake a mile away. And that’s as simple as it gets . . . .
Act justly . . .
Love mercy . . .
And walk humbly . . . I come from the world of academia. For over twenty years I worked in higher education at colleges and universities, large and small, public and private, secular and Christian, and all except one was nonprofit. My area of expertise is in Student Affairs, and I held professional staff positions ranging from Academic Advisor to Coordinator to Director. I also worked with a variety of students (primarily adult students and graduate students) as well as staff, faculty, and administrators; and I also fulfilled numerous other responsibilities. Eight years ago I lost a job that sent me into the world of long-term unemployment. While undertaking a major job search, I found that the longer I went without finding another job, the more I needed to find some kind of creative outlet to keep the creative juices flowing, and that is when this blog was created back in July 2010. I was new to blogging back then, and I spent the first several months experimenting with it. I ended up deleting the posts I had written up through April 2011 as there was no common theme linking the individual posts together. However, three months later in July 2011, I fired my blog back up and this time it just took off. I mean it seriously took off and it has been going strong all this time. In fact, I’m close to a mile-marker as I will soon have 500 blog posts published on this blog at some point this year (this is blog post #481). I have always been an avid reader, mostly of nonfiction. And as my readers know, I quote heavily from other authors, mostly famous authors, past and present, as I’ve never been one to think I needed to “reinvent the wheel” with my own words on a topic that others have expressed far more eloquently (and in many cases with more knowledge and experience) then I could do. I always give credit where credit is due, and the great thing about blog writing is one can instantly “link” to the author and source of the quotes and articles. Had I not been living in the age of the internet, none of this would have been possible. I mention this bit of personal background as I am aware that there are many different “thoughts” on Christian living outside of the realm of the “essentials of the Christian faith” (the “essentials” are the core beliefs of Christianity). And I am aware that some of what I post may cause some disagreement. However, my intent has always been to bring up topics as they come to mind, and I often quote others more knowledgeable than myself when writing about them. More than anything, I want the posts to be challenging and/or informative as that comes from my academic background. With that in mind, yesterday I received a 40% off coupon from LifeWay in my email, so I went looking for a book to use it on. With only one coupon, it was hard to narrow it down to the book I wanted to buy (I had several in mind when I arrived at the store). Mark Batterson‘s latest book, “Catch the Lion: If Your Dream Doesn’t Scare You, It’s Too Small,” (published in September 2016) is one of the books on my list, but I also realized it is sort of a “sequel” to his very first book that was published back in 2006 titled, “In a Pit with a Lion on a Snowy Day: How to Survive and Thrive When Opportunity Roars.” While “Catch the Lion” stands on it’s own without having to read the previous book first, after much thought on which one to spend my coupon on, I decided to go with “In a Pit with a Lion on a Snowy Day,” which has been republished in August 2016 with some additional bonus material. Benaiah son of Jehoiada, a valiant fighter from Kabzeel, performed great exploits. He struck down Moab’s two mightiest warriors. He also went down into a pit on a snowy day and killed a lion. And he struck down a huge Egyptian. Although the Egyptian had a spear in his hand, Benaiah went against him with a club. He snatched the spear from the Egyptian’s hand and killed him with his own spear. Right at the outset, let me share one of my core convictions: God is in the business of strategically positioning us in the right place at the right time. A sense of destiny is our birthright as followers of Christ. God is awfully good at getting us where He wants us to go. But there’s the catch: The right place often seems like the wrong place. Can I understate the obvious? Encountering a lion in the wild is typically a bad thing. A really bad thing! Finding yourself in a pit with a lion on a snowy day generally qualifies as a terrible, horrible, no good, very bad day. That combination of circumstances usually spells one thing: death. I don’t think anyone would have bet on Benaiah winning this fight–probably not even the riskiest of gamblers. He had to be at least a one-hundred-to-one underdog. And the snowy conditions on game day didn’t help his chances. Scripture doesn’t give us a blow-by-blow description of what happened in that pit. All we know is that when the snow settled, the lion was dead and Benaiah was alive. . . .
Now fast-forward two verses and look at what happened in the next scene. I can’t think of too many places I’d rather not be than in a pit with a lion on a snowy day. Can you? Getting stuck in a pit with a lion on a snowy day isn’t on anybody’s wish list. It’s a death wish. But you’ve got to admit something: “I killed a lion in a pit on a snowy day” looks pretty impressive on your résumé if you’re applying for a bodyguard position with the King of Israel! . . . Most people would have seen the lion as a five-hundred-pound problem, but not Benaiah. For most people, finding yourself in a pit with a lion on a snowy day would qualify as bad luck. But can you see how God turned what could have been considered a bad break into a big break? Benaiah was chasing a position in David’s administration. There is an old aphorism: “No guts, no glory.” When we don’t have the guts to step out in faith and chase lions, then God is robbed of the glory that rightfully belongs to Him. Is anybody else tired of reactive Christianity that is more known for what it’s against than what it’s for? We’ve become far too defensive. We’ve become far too passive. Lion chasers are proactive. They know that playing it safe is risky. Lion chasers are always on the lookout for God-ordained opportunities. The lion chasers you’ll meet in this book are ordinary people. They put their pants on one leg at a time like everybody else. Most of them were scared to death when they bought the plane ticket or handed in their resignation. Weighing the pros and cons caused some ulcers along the way. And at times it felt like they were the ones cornered by the lion in the snowy pit. Benaiah went on to have a brilliant military career. In fact, he climbed all the way up the chain of command to chief of Israel’s army. But it all started with what many would consider being in the wrong place at the wrong time. His genealogy of success can be traced all the way back to a life-or-death encounter with a man-eating lion. It was fight of flight. Benaiah was faced with a choice that would determine his destiny: run away or give chase. It is so easy to read about an incident that occurred three thousand years ago and fail to appreciate the element of surprise, because we know how the story ends. We read the story and think the outcome was inevitable. Psychologists call it “hindsight bias.” It is an exaggerated feeling of having been able to predict an event before it actually happened. We play the role of Monday-morning quarterback when we read Scripture. But to really appreciate the faith of Benaiah, you’ve got to feel what he felt before he killed the lion. . . . There are a thousand variables, and they all add up to one thing: an uncertain outcome. It could have gone either way. Heads or tails. I’m sure Benaiah had a sense of destiny. But that sense of destiny was coupled with a degree of uncertainty. Benaiah didn’t know if he’d win or lose, live or die. But he knew that God was with him. Benaiah could have run away from the lion. And running away would have reduced uncertainty and increased security. But lion chasers are counterintuitive. They aren’t afraid of venturing off the map into terra incognita. The unknown doesn’t scare them. It beckons them like a long-lost love or childhood dream. In a sense, security scares lion chasers more than uncertainty. . . . I know that different people have different callings. I know different people have different personalities. But I also know that embracing uncertainty is one dimension of faith. And regardless of your vocational calling or relationship status, you have to do something counterintuitive if you want to reach your God-given potential and fulfill your God-given destiny. Sometimes you have to run away from security and chase uncertainty. Isn’t that what Jonathan did when he left the safety of the Israelite camp and climbed a cliff? The military stalemate was driving him crazy, so he decided to pick a fight with the Philistines. I love his modus operandi: “Perhaps the Lord will act in our behalf” (I Samuel 14:6). Isn’t that what Abraham did when he left his family and his country to pursue the promise of God? In a day and age when the average person never traveled outside a thirty-mile radius of their birthplace, Abraham embraced uncertainty and ventured into terra incognita. “He went without knowing where he was going” (Hebrews 11:8). Isn’t that what Noah did when he built the Ark? Noah was a laughingstock for 120 years, but he embraced the uncertainty of a divine weather forecast. “Noah did everything exactly as God had commanded him” (Genesis 6:22). 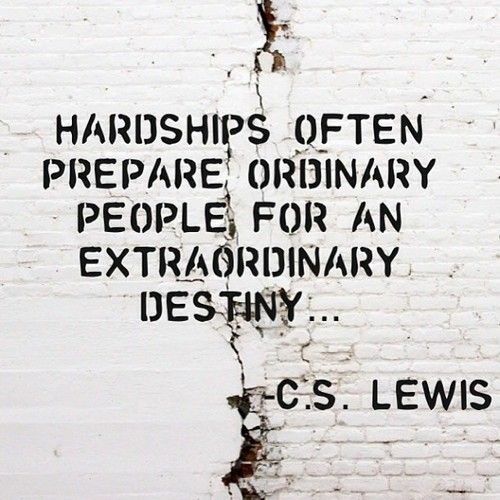 So how’s that for some encouragement if you are in need of it today? I’m glad I got this book first as it will make his latest offering (which is a continuation of “In the Pit” written ten years later) titled, “Catch the Lion,” all the more enjoyable and meaningful, too. And who doesn’t like to read about inspiring people and their stories and the God who leads them onward! Whether we are facing lions or mountains, there’s our answer. 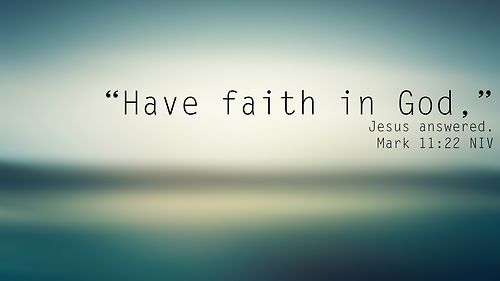 Have faith in God (and in His timing, too). . . .
And whatever we ask for . . . Believing we have receive it . . . It will be ours . . . . In the movie, “Bridge of Spies” (2015), based on a true story that started in 1957 during the Cold War (1947-1991–the Cold War ended when the Soviet Union collapsed in December 1991), an American lawyer, James B. Donovan (played by Tom Hanks) is recruited to defend an arrested Soviet spy, Rudolf Abel (played by Mark Rylance) in court, and then helps the CIA facilitate an exchange of the spy for the Soviet captured American U2 spy plane pilot, Francis Gary Powers (played by Austin Stowell). Abel is convicted and sentenced to 30 years in a Federal prison (much to the chagrin of the general public who wanted him executed; however, Donovan stated to the judge that he might be of use in a prisoner exchange in the foreseeable future if one of our spies was caught by the Soviet Union). While situations vary, it is hard to know what to do when one doesn’t know what the game is that is being played. On the surface it might look to be quite different from what is actually going on beneath the surface and behind the scene. Often when we encounter situations we don’t fully understand, we like to think that we are “in charge” of our situation and that all it takes is the right amount of “positive thinking” to get the results we want or to get back on track. I’m not quite sure where “positive thinking” as a “cure all” got it’s start (actually, I think it got it’s start in 1952 with the publication of Dr. Norman Vincent Peale‘s book, “The Power of Positive Thinking”) but we have been fed a line of thinking for several decades now that says we are pretty much the captain of our own ship, and we can have or change anything we want if we just “think positively” enough and acquire the right connections in the process. While there is absolutely nothing wrong with having a positive mental attitude, we have too often elevated “positive thinking” on a throne of it’s own and as a panacea for all difficulties or diseases. One definition for “positive thinking” is “the act of reviewing thought processes in order to identify areas that need improvement, and then using the appropriate tools to change those thoughts in a positive, goal-oriented way.” Of course, thinking positively is not wrong. The problem associated with “positive thinking” is in believing that there is some kind of supernatural power in positive thinking. In this age of rampant false doctrine and watered-down theology, the power of positive thinking has stood out as one of the more popular errors. False doctrines are similar in that they are human ideas masquerading as the truth. One such human idea is the power of positive thinking. The idea of the power of positive thinking was popularized by Dr. Norman Vincent Peale in his book “The Power of Positive Thinking” (1952). According to Peale, people can change future outcomes and events by “thinking” them into existence. The power of positive thinking promotes self-confidence and faith in oneself; it leads naturally to a false belief in the “law of attraction,” as Peale wrote, “When you expect the best, you release a magnetic force in your mind which by a law of attraction tends to bring the best to you.” Of course, there is nothing biblical about one’s mind emanating a “magnetic force” that pulls good things into one’s orbit. In fact, there is much unbiblical about such a notion. In “The Power of Positive Thinking,” Peale used flawed religious concepts and subjective psychological theories to advance a false version of faith and hope. His theory is part of the “self-help” movement whereby a person tries to create his own reality with human effort, proper mental images, and willpower. But reality is truth, and the truth is found in the Bible. People cannot create their own reality by fantasizing or thinking it into existence. Peale’s theory is flawed because he did not base it on truth. Proponents of the power of positive thinking claim their research supports the validity of the theory. However, the body of data is widely debated. Some of the findings suggest there is a positive correlation between a positive outlook and performance, but this is a far cry from positive thoughts ‘creating’ an outcome. The research suggests that people who have positive attitudes tend to have higher self-esteem and better experiences as compared to people who have pessimistic outlooks. On the other hand, there is no substantiated evidence to support the idea that thoughts can control outcomes. Positive thinking has no inherent power to change the future. Every good gift is from God above (James 1:17), not from the power of positive thinking. The best gift of all is the indwelling Holy Spirit (Luke 11:13). The Bible says that man cannot be “good” on his own (Isaiah 64:6). The only good in us comes from the righteousness of Jesus Christ applied to our account (Ephesians 2:1–5; Philippians 3:9). Once the Holy Spirit indwells us, He begins the process of sanctification, in which the transformative power of the Holy Spirit makes us more like Jesus. Hebrews 11:1 tells us that faith is “being sure of what we hope for and certain of what we do not see.” Perhaps no other component of the Christian life is more important than faith. We cannot purchase it, sell it or give it to our friends. 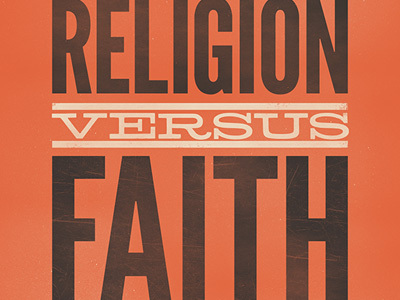 So what is faith and what role does faith play in the Christian life? The dictionary defines faith as “belief in, devotion to, or trust in somebody or something, especially without logical proof.” It also defines faith as “belief in and devotion to God.” The Bible has much more to say about faith and how important it is. 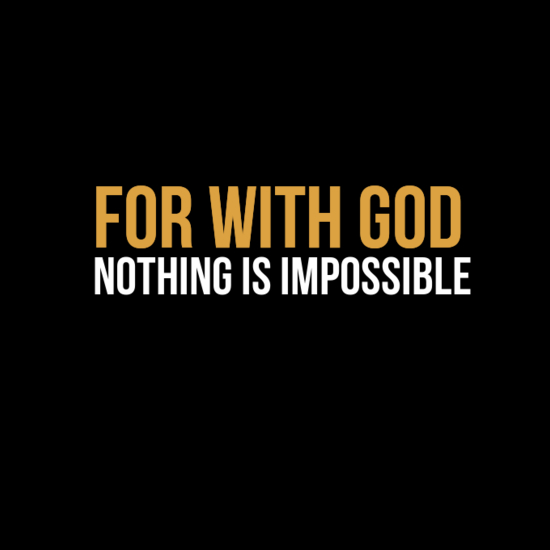 In fact, it is so important that, without faith, we have no place with God, and it is impossible to please Him (Hebrews 11:6). According to the Bible, faith is belief in the one, true God without actually seeing Him. Where does faith come from? Faith is not something we conjure up on our own, nor is it something we are born with, nor is faith a result of diligence in study or pursuit of the spiritual. Ephesians 2:8-9 makes it clear that faith is a gift from God, not because we deserve it, have earned it, or are worthy to have it. It is not from ourselves; it is from God. It is not obtained by our power or our free will. Faith is simply given to us by God, along with His grace and mercy, according to His holy plan and purpose, and because of that, He gets all the glory. So let’s go back to Abel’s original question,“What’s the next move when you don’t know what the game is?” Again, while situations vary, it is hard to know what to do when one doesn’t know what the game is (or, worst yet, when one doesn’t even know there is a game until it’s too late–I think back to when I lost that job eight years ago as an example in my own life). And history is replete with examples large scale and small of “man’s inhumanity to man.” I think of all the innocent victims who have died in wars, or closer to home, people who have lost jobs through no fault of their own. And I think of the millions around the world and here in America who live in poverty and can’t just “positively think” their way out of it. It goes beyond us and our own “thoughts” to include the motives and hidden agendas of all the “others” out there, too (the good, the bad, and the ugly). Only God sees the whole picture. We barely see even a tiny fraction of it. So . . . .
and he will make your paths straight. . . .
There’s a story in the Old Testament about a friendship that went beyond the grave. It is a story many of us are familiar with, but the lasting effects of that friendship might not be as well known. It is the friendship between David and Jonathan, who was the son of King Saul, the first King of Israel. The story is found in 1 Samuel 17-20, and opens with the story of David, as a teenage shepherd boy, slaying the Philistine giant known as Goliath. David’s popularity among the people after he slew Goliath created much jealousy in King Saul, who then tried to kill David over the next several years. In the midst of this situation is Jonathan, King Saul’s son, who became a very close friend with David. One of the most famous friendships of the Bible has to be that of David and Jonathan. When they met, David [a young shepherd boy] had been chosen by God to be the future king of the Israelites, but Jonathan’s father (Saul) who was the king at the time, wanted to kill David. However, Jonathan took a real liking to David. He made a promise to him, he loved him, he gave him presents and provided for him. He warned David about plots against him by his father, he spoke out for him to his father and he used his influence to keep him safe. It’s not surprising that Jonathan was the main player in the relationship at first, because as the son of the king, he was the one with the power in this relationship. But it is a power that he used for the good of his friend – and at a cost to himself. Every time he kept David safe or promoted his interests, he was destroying his own chances of inheriting his father’s throne. Jonathan’s friendship with David was at the cost of his own career and reputation! Jonathan was a friend with some pretty impressive qualities. His loyalty to David, and courage in the face of political pressure, and an angry, murderous father was unquestioned. He had the humility to say openly that he would never be king. He followed up his commitments, he was generous and he did it all ‘before the Lord’. He showed genuine affection, loyalty and openness. He was the friend everyone would love to have! But David was not just a passive ‘taker’ in all of this either. As time went on their friendship grew so that by the end it was definitely a two-way relationship between equals. When the pair had to part, the story says that David ‘wept the most’. At Jonathan’s death, David showed immense grief. One of the particularly beautiful aspects of this friendship was the way David and Jonathan promised to do good to each other’s family and descendents. They knew that as technical rivals to the same throne, it was more than likely that their families and heirs could grow to hate each other and try to eliminate their opponents. They took steps to stop the cycle of rivalry and hate – and as time went on, it worked. . . . The story of King Saul’s jealousy of David starts from the time David slew Goliath (1 Samuel 17) when he was a teenager, and lasts until King Saul’s death by suicide in a battle that kills his sons, including Jonathan (see 1 Samuel 31). During those years from the time David was a teenager until he took the throne of Israel at the age of 30 (see 2 Samuel 5:4), King Saul had tried a number of times to kill David, and twice David had the chance to kill King Saul but he didn’t take it as David always viewed King Saul as “God’s anointed.” The entire story is found in 1 Samuel 17-31. David laments the death of King Saul and Jonathan in 2 Samuel 1:17-27, and David is anointed King over the tribe of Judah at which time a war breaks out between the House of David and the House of Saul (see 2 Samuel 2-4). In 2 Samuel 5 David becomes King over Israel and conquers Jerusalem and defeats the Philistines. At this point I want to bring the story back to the friendship between David and Jonathan. As noted in the story above, “One of the particularly beautiful aspects of this friendship was the way David and Jonathan promised to do good to each other’s family and descendents. They knew that as technical rivals to the same throne, it was more than likely that their families and heirs could grow to hate each other and try to eliminate their opponents. They took steps to stop the cycle of rivalry and hate – and as time went on, it worked.” That story is found in 2 Samuel 9. There’s an illustration of this kind of above-and-beyond caring for others in the life of the great King David. The thoughts of David, once only a lowly shepherd boy, were swimming in pools of remembrance. The story seemed almost too good to be true–where he was now compared to where he was then–staggering! Somehow a dynasty reserved only for those in the bloodline of royalty had opened up to include him. He knew the events that had led up to his becoming the king of Judah [and Israel], but he was still incredibly fascinated by how it had all happened. Obviously, God’s favor was on his life. Perhaps that’s what he was thinking about on this day when waves of gratitude overwhelmed him and he suddenly blurted out a question, which caused all of those around him to scurry in search of an answer. It was an unexpected, spontaneous question prompted in a moment of reflection, and no one in his immediate airspace knew the answer. So they went looking for someone who did, and it wasn’t long until a man named Ziba came to stand before the king. David asked him the same question: “Is there anyone still left of the house of Saul to whom I can show kindness for Jonathan’s sake?” (2 Samuel 9:1). We’ve all experienced some unsolicited kindness, when for some reason people wanted to show us kindness, to grace us with their favor–perhaps parents, mentors, teachers, coaches, relatives, neighbors, pastors, and friends who played significant role in helping us get to where we are today. They showed us favor we had not earned, and maybe now because we’ve lost touch with them, it’s impossible to thank them personally. Or maybe it’s just hard emotionally to express accurately the gratitude we feel. So the greatest expression of gratitude we may have available to us now is to pay it forward–to pass on kindness to another person. This is exactly the state of mind David was in as he remembered his friend Jonathan, the son of the previous king, Saul. Jonathan had been the heir apparent to the throne David now occupied. Their relationship had been cemented by an agreement to preserve and protect each other no matter what. This is what David was recalling that day when he asked his question. He was on a mission that no one in the palace could fully understand or comprehend. Ziba, the servant who had been summoned, knew about only one son of Jonathan–a young man who had suffered a severe fall that left him crippled for life. Ziba said, “There is still a son of Jonathan; he is lame in both feet” (2 Samuel 9:3). Why did Ziba add the information about the injured feet? Maybe he thought this deformity would eliminate that son as a candidate for the king’s kindness. Perhaps he thought the king would be embarrassed in some way by having a crippled man in his presence. “He is at the house of Makir son of Ammiel in Lo Debar,” Ziba answered (verse 4). Lo Debar was a desolate place, known for its extreme poverty and barely survivable conditions. Now all the personal, unpleasant, and unappealing information that Ziba knew was out on the table. This son of Jonathan was definitely not the kind of person one would expect a king to be interested in. But David never showed an ounce of hesitation. So King David had him brought from Lo Debar from the house of Makir son of Ammiel. “Don’t be afraid,” David said to him, “for I will surely show you kindness for the sake of your father Jonathan. I will restore to you all the land that belonged to your grandfather Saul, and you will always eat at my table” (verses 5-7). The difference a day can make! The marginalized, disenfranchised, socially excluded Mephibosheth had been lifted out of Lo Debar by the extravagant kindness of the king. Typically, when we consider kindness, we think of offering greetings and smiles, opening doors, buying someone coffee. But when David said he wanted to show someone kindness, he was thinking way outside our normal box. To David kindness meant much more than a small act. To him it was a complete game-changing, life-altering demonstration of favor that would impact the recipient’s life continually from that day forward. (Quote source, “Good Things,” pp. 115-117). From this story we get a clear picture that one act of kindness can sometimes lead to some incredible places and life changes. However, I don’t want us to get our normal concept of “being nice” (which is way too common today and requires nothing from us personally including any real compassion on our part) as being confused with or as a substitute for “being kind.” The two concepts are diametrically opposed. As Jeff Bezos’ grandfather stated to him, “It’s harder to be kind than clever.” It’s also harder to be kind than nice. 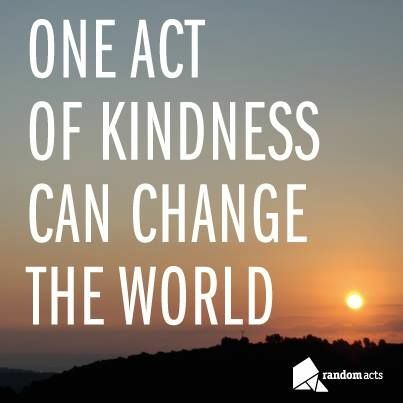 So why is it, as Bill Taylor stated at the end of his article, that “small acts of kindness feel so rare?” Is it because we just don’t care anymore? That can come with a pretty big price tag. “One act of kindness, no matter how small, is ever wasted” ~Aesop. And one act of kindness. . . The world. . . . The above picture looks like many of our basements, storage units, spare rooms, or garages, doesn’t it? We accumulate, but instead of getting rid of what we no longer need, we just find a place to store it for that “rainy day” that never seems to arrive. And our obsession with our possessions over the past several decades created a whole new industry: the storage center industry–which makes millions (maybe billions) off of us so we can keep all that stuff we will probably never use again since we, obviously, aren’t using it now. And our “wanter” isn’t just for physical possessions. Perhaps it is a job we want that someone else has, or someone’s husband or wife that is appealing to us, or something someone else has that we want, and we don’t much care how we get it. Or maybe we want fame, prestige, power, money . . . . Our list of “wants” is pretty much endless, isn’t it? There is a difference between want and need. Though it is translated “want,” in the first verse of Psalm 23, David is most probably dealing with the issue of “need.” St. Paul speaks to the same issue in Philippians 4:19: “And my God shall supply all your need according to His riches in glory by Christ Jesus.” The great apostle is reminding us that we can trust God to meet us at the point of our need. Some have refashioned this verse to mean that God will supply all they could ever want. That perverts the text and may lead to all kinds of error and excess. No amount of explanation or exposition on the real meaning of those two verses would dissuade him. He had the whole story and his own heart so twisted up that he was absolutely blinded to the truth. He intended to leave his wife for his lover and he eventually did, using Scripture to salve his conscience, that is, if he still had one. But “I shall not want” in no way means I will never have to do without anything I want. I am made of earth, and that earth raises its ugly head every so often. I have, in my own life, wanted things, wrong things, things that could hurt me and others. I have proven to myself my seemingly inexhaustible capacity to lust for the baubles and pleasures of earth. There is something inside the earth of us that is bent toward a wrongful wanting. Putting that to death is not an event but a long and painful process. Which of us has not stumbled along the way? Why? Because we want stuff. David wanted stuff. Bathsheba, for example. She was not God’s will for David, nor was David God’s will for her. Their wanting was the cause of so much sin and suffering that the story is still a living cautionary tale after three thousand years. “I shall not want” cannot be construed to mean that God will give me everything my sinful heart could ever desire. Furthermore, there are also things that are not, in themselves, bad for me, but the earth of me needs limitations. Have you ever walked through a store with your children and heard them tick off the items without which they simply could not live another day? There were times when my wife and I told our children no about things we could have afforded, things that were not even bad for them. We did this because it is not good for us to have everything we want immediately when we want it. Sometimes not having things, or not having them now, is good for us. A life without limits becomes a life without maturity, and that is never the will of God for me. God is a good God. His will for me is good, and He does not will for me to live my life in grinding poverty. He does not will that my children suffer hunger. God is a God of abundance and mercy and generosity. He teaches me to live in contentment, but He does not oppress me with want. (Quote source: “21 Second to Change Your World,” pp. 79-81). When David wrote in his famous psalm, “I shall not want,” it was the summary of the result of having the Lord as his shepherd. What does it mean not to want? First, it means we will not lack the basic needs of life—the big three: food, shelter, clothing. You don’t need to be anxious about those things. God promises over and over He will meet those needs in our lives. Our initial response to this promise is often skepticism. “What about those who are hungry and homeless? There seem to be a lot of them. How does God meet their needs?” The answer comes to us in His Word, “You will be enriched in every way to be generous in every way…” (2 Corinthians 9:11). When God supplies abundantly to us, He expects us to share with others. God uses His people to spread His blessings. You can probably think of occasions when God has helped others through you and when He has helped you through others. And there is something deeper than the basic needs of life in the words, “The Lord is my shepherd. I shall not want.” Make note of this: I shall not want another shepherd. I shall not seek another Master. The expert care of my Master Jesus is all I desire. I am completely content with His management of my life. Though my life is not perfect, He has never failed me. While there have been disappointments and difficulties, He has always kept His promises. When I have sought Him, I have found in Him all I need. The Lord is my shepherd, and I don’t want another. “I shall not want” is also a statement about self-control. Think about all the pain in life that is caused by wanting: “I want this,” and “I want to go there,” and “I want to experience that.” Too many of life’s hurts come from wanting what we do not have. Here is a personal example: I have always wanted to be a fisherman. I can’t begin to tell you the aggravation and heartache that have come into my life from wanting this! Oh, the stories of trips I’ve gone on and promises that were made. “You’re going to catch so many fish, you will be amazed!” Instead, I discovered there’s a reason it’s called fishing and not catching. All I caught was frustration—from wanting. But the longer I live with the Lord as my Shepherd, the more I experience the profound ways the truth “I shall not want” can radically alter every day. Loved one, no matter what the circumstance, you and I already have everything we really need in Christ. “And my God will supply every need of yours according to his riches in glory in Christ Jesus” (Philippians 4:19). Lay hold of this powerful truth in your life today. Based on today’s reading, does “not wanting” mean a change in what you “need” or does it mean seeing your “needs” in the light of God’s wise provision? What has taken on the character of “wants” in your life and needs to be surrendered to the Shepherd for His timing and supply? I’d like to include one more thought on the phrase, “I shall not want.” This one comes from a blog post on Living Proof Ministries which was founded by Beth Moore, and the post was written by “Lindsee” (a young woman who used to work at LPM) titled, “I Shall Not Want.” Beth Moore is a widely recognized evangelist, prolific author, Bible teacher, and founder of Living Proof Ministries, a Bible-based organization for women based in Houston, Texas. Every morning while I am getting ready for the day, I listen to either a podcast or music. I go in and out of seasons with podcasts and right now, they’re on the back-burner while my music has made a comeback. I typically put on a worship CD of some sort, but other times I press shuffle and let my iPod do the leading. That’s always an interesting mix, but it’s fun nonetheless. This morning I put on my “Recently Played” playlist and let that shuffle. I think there are nearly 100 songs on that particular playlist, and since my taste in music is pretty eclectic, it’s a fairly random assortment and one that keeps me guessing as to what song will come on next. The reason it’s my second favorite is because it confronts me in my uncomfortable places and convicts me on issues I’d rather suppress and ignore. It’s one of those songs that just gets all up in your business, hence my love/hate relationship with it. I mean, from the need to be understood, accepted and fear of being lonely? Ouch. I’m telling you the truth when I say that so often her lyrics leave me speechless. Speechless or thankful because she has a gift in putting words to what I’m feeling. . . .
We started Bible study this past Tuesday and one thing that stuck out to me while I was reading earlier this week was the word “dependencies.” Our current and brand new series is called “Breath” and it is all about the Holy Spirit. We’re barely getting started but the word Beth brought to us on Tuesday was stunning to say the least. I’m not going to even try and recap for fear of obliterating the entire series, but I can say that we’re praying for miracles and salvations to blow through Bible study these next six weeks. I think the reason the word dependencies jumped out at me is because, if I can be so honest, in my own personal life, I’ve noticed that the Lord has been removing all manner of dependencies from my life. Dependencies that distract me from Jesus himself. And while it’s not a fun process in the least, and even hurts most times, it’s a good thing. I said to a friend the other day that when we have no where to go but to Jesus, it’s a good place to be. Yes, I have the sweetest friends and the most caring family, but even when we have all of the above, there are just some things that only Jesus can tend to. There are some places that only He can fill because truly, there are intimate things that only He knows. Even in marriage our spouse wasn’t meant to be a God to us, but a helpmate. If some of us were honest, we’d could say that some of our dependencies are secrets only He knows about, but we’ve never spoken them aloud to anybody, let alone Him. But as a God who is intimately acquainted with you, He knows, He sees, He doesn’t require you to change before you come to Him and He still pursues you with His perfect and unconditional love. These three different views by the three different authors on the phrase “I shall not want” should give us plenty of “food for thought” on the meaning of “I shall not want” in our own lives. Also, I’ve included the Audrey Assad song, “I Shall Not Want,” referenced above in the blog post by Lindsee, as the YouTube Video for this blog post (see below). 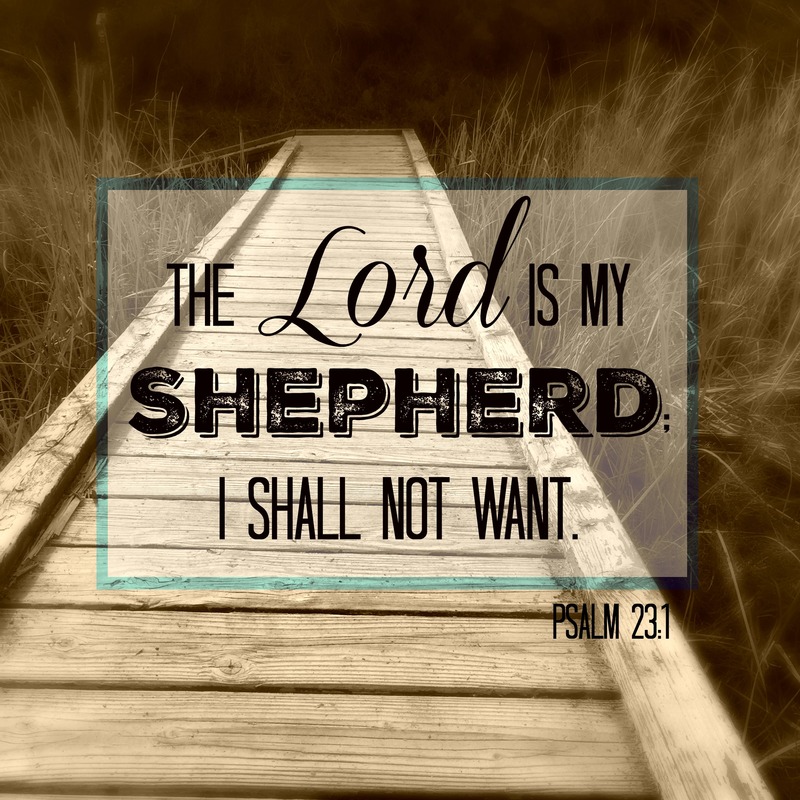 And I’ll end this post with those famous opening words from King David in Psalm 23. . .
Is my Shepherd. . . I shall not want. . . .